Estate agents, are you bored at work? This website will tickle your ribs! 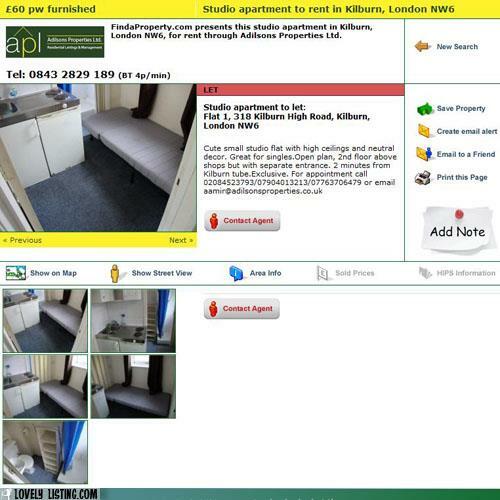 Notice that the 'studio apartment' was described as 'cute' and 'great for singles'! Estate agent code: Tiny and great for people that don't like entertaining! Looking for a new website? Demand an industry specialist. Resource Techniques has been an IT specialist for estate agents and property professionals for over 20 years. We specialise in web design for estate agents, SEO for estate agents, SEO services, web sites for estate agents, software for estate agents. To get more information, visit our portfolio page for our range of estate agent web site designs or contact us.